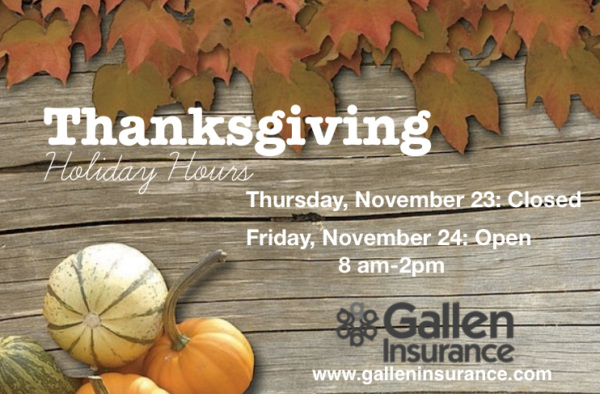 Gallen Insurance will be closed on Thursday, November 23 as we celebrate the Thanksgiving Holiday. We will be open on Friday, November 24 from 8am – 2pm. As we give thanks this holiday season, we’re reminded of those who have made the past 60 years possible. We value the relationships we’ve developed with our clients and local community throughout the years.